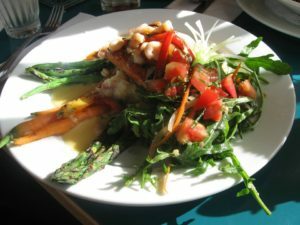 The Rising Star Cafe, located in the coastal town of Wheeler, Oregon serves delicious meals in a serene setting! 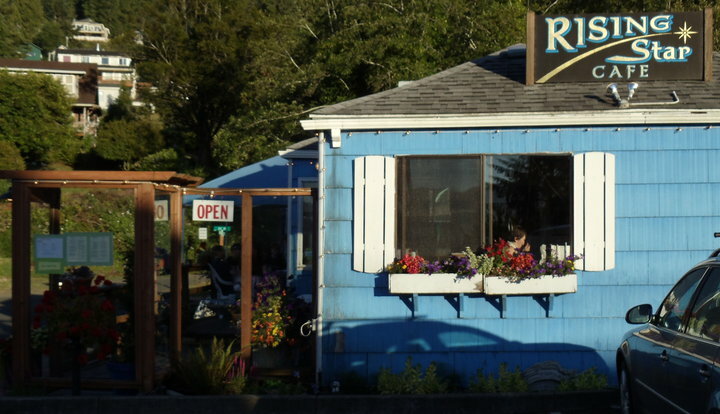 There’s nothing more enchanting than a scrumptious meal served at a serene place, and the Rising Star Café, located in the coastal town of Wheeler, Oregon (see map below for location) is just such a place. The aroma of locally sourced food, the charming atmosphere and unforgettable experience of dining at the restaurant is something that you cannot afford to miss out on. The place is a local favorite, and as a visitor you might want to explore this hidden gem located in this peaceful coastal town. The restaurant has got plenty of mouth-watering dishes that you can try. For the pasta lovers, there are some amazing varieties of pasta available. And if you love seafood, then there is a great variety in that as well (being a coastal town, and all!). Apart from these you can try out a lovely range of soups, salads, burgers, and more. The best part is that the menu is not fixed. It keeps changing from time to time! So whenever you visit the restaurant you can expect to find a sense of freshness in the cuisine! One of the best things about the meals served at the Rising Star Cafe is that they are prepared using organic ingredients. Because of this, you will feel the sense of freshness and aroma of goodness in everything that’s being served here. A great place to have fun! Whether you are looking to spend some quality time with family over the weekend or looking to have a cozy meal with someone special, this is a great place to be. Hidden in the natural beauty of coastal town of Wheeler, this beautiful and family operated café wins the heart with flying colors. The icing on the cake comes in the form of the scrumptious food that’s served at the restaurant. No matter you are food lover or a nature seeker, visiting the Rising Star Cafe can prove to an enchanting experience for you. Enough said about the restaurant and everything that you can try out here. Now let’s see how you can get there! ‘The Rising Star’ is located at 92 Rorvik Street, Wheeler (Oregon). Plan your trip to this coastal town and brace yourself for a cozy meal in an enchanting environment – an experience that is going to be etched in your memories for a long while. So, what are you waiting for? Take a break, plan the trip and visit the restaurant this weekend! Excited For Oregon's First Total Solar Eclipse Since 1776? 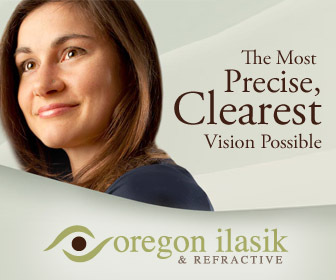 The Corvallis Science Pub Will Host Randal Milstein On May 8th To Talk About The Event!